Elana Jagoda Kaye is a music educator, performer, prayer leader and composer who brings soul and innovation to the new Jewish music revolution. Elana has released four albums of Jewish music and has had thousands of CDs distributed nationally through the PJ Library. Elana has also contributed original music to G-dcast videos and podcasts as well as Behrman House educational materials. 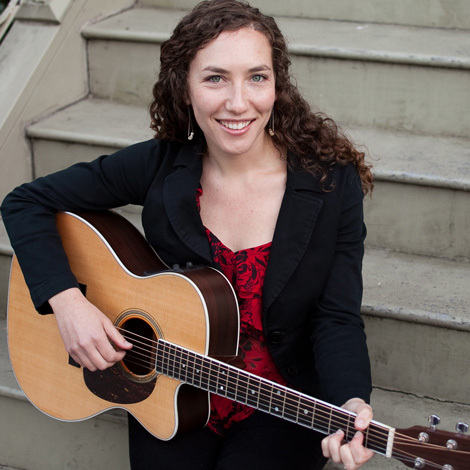 Elana currently serves as the full-time cantorial soloist at Peninsula Temple Beth El in San Mateo, California and she also plays rocking family concerts across the country at synagogues, museums, festivals and JCCs. Elana has served as the artist-in-residence for the Wexner institute and has enjoyed spending time at Jewish summer camps as guest music faculty. ] Elana lives in the San Francisco Bay Area with her husband/producer Saul Kaye and their two beautiful munchkins Elijah and Bayla.